This is where business text messaging really comes in handy. While mobile users can turn off notifications for email or other app alerts, they are compelled to take a glance at their recently received SMS. So, if you want to market in real time and be sure your audience got the message, there is no better choice than to send a text message. How to Market Your Business via SMS? There are many ways of using text marketing to your advantage, but here are a couple of clever ways to enhance customer interaction and satisfaction with a business at the same time. Like with email campaigns, you first need to get permission from consumers in order to send a text message. Knowing that most people are already online on their phones looking, searching, and comparing businesses, adding the Click-to-Text button or a link can help you gather passing subscribers. Click-to-Text is a small pop up window text that opens with a click. It can be placed on a business website, ads, Google listings, and more. The best part is that viewers get automatically directed toward your organization, which brings you one step closer to converting mobile users into leads. Surveys – Set up a quick survey with no more than three questions to learn more about your customers and how to target marketing towards them. A Call to Action – Send limited and one time only offers to motivate your target market to respond and make a purchase. Incentives – Sweeten the deal and offer discounts, coupons, or freebies customers can claim after completing a survey or buying something special. Also, you can use these benefits as a way to promote a new store or as a simple act of customer appreciation. It’s very important to encourage a conversation and ensure a two-way communication stream with customers. 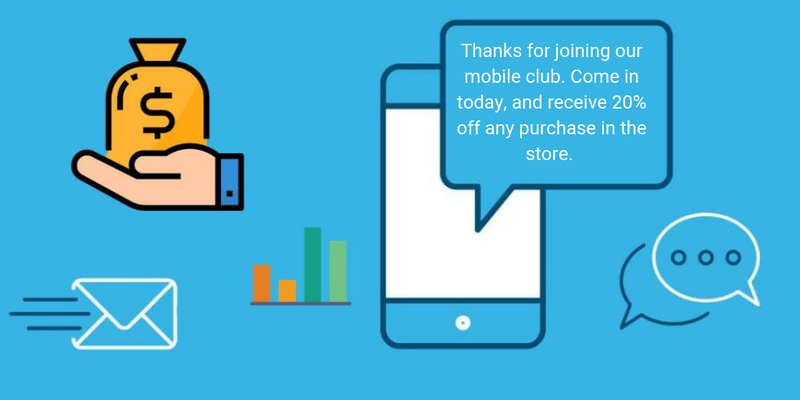 Contrary to what customers might think, business text messaging can be used for orders, order confirmations, and a better customer service in general. For example, the business can text to confirm the next appointment or ask clients if they want to schedule one. You can even send mass messages to specific consumers, inviting them to a particular event or a sale that’s set up only for them. 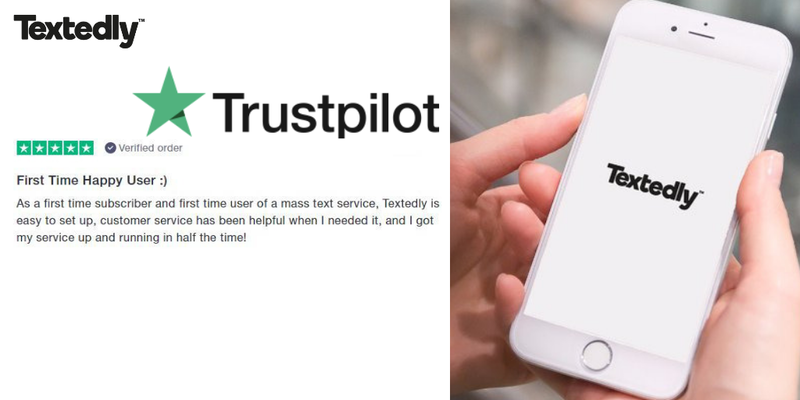 Basically, texing can be used for any reason you want and the goal is not only to increase customer retention, but to meet their expectations through a convenient, fast, and mobile-friendly service. Marketers shouldn’t be asking how to send a text message, but when to send a text. Nevertheless, the answer to both lies in having in-depth knowledge about the target market. To put it simply, you should set a professional tone with a hint of personalization early on in a text and watch out for the best timing to release it. Speaking about time, salespeople often forget that some hours during the day are not appropriate for marketing. Therefore, launching a text marketing campaign within business hours is always the safest choice. But keep in mind that acknowledging special days, such as birthdays or other holidays, could make a huge positive difference for both the brand’s reputation and the customer base. SMS marketing shouldn’t be the only way your audience can connect with the business. Unite business text messaging with other communication strategies in order to expand the company’s reach and conversion rates. By adding links to the company’s Facebook, LinkedIn, or other social media within a text, you will open up more possibilities for subscribers to land on your site. Plus, you can also add links for recipients to sign up for the email marketing list and watch how your list grows. While marketers often go with one or two texting strategies listed above, you can actually use all of them to optimize your marketing success. Note that some subscribers might not want to continue to receive SMS messages, so be sure to include an exit strategy each time you send them a text. Also, find a way to manage all these texts via services like Textedly that are specially designed for this. The only thing left to do now is to send a text message. There is so much more to find out about SMS marketing and its many benefits. Make sure to check out our blog for more useful articles on this topic. If you have any questions, be sure to contact us.